Link to Publisher homepage about the book with links to downloadable copies of the whole book or the chapter. This volume has just become free on-line. Despite being 7 years old, it had enough genomic information that the pararetrovirus (EPRV Endogenous Para Retro Virus) chapter is still current in 2015. It also foreshadowed the Journal papers linked via Google Scholar at the bottom of this page. 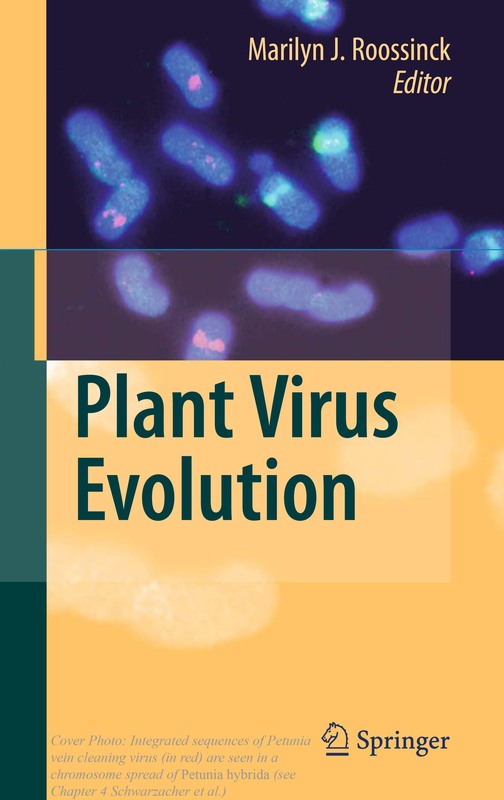 Plant pararetroviruses replicate their genome via a transcription–reverse transcription cycle like retroviruses, but unlike them their genomes do not obligatorily integrate into the host chromatin. Nevertheless, one can find complete or fragmented pararetrovirus PRV EPRV genomes, as well as those from geminiviruses and even RNA viruses incorporated into the genomes of nearly all plants analysed. Integration events are thought to be rare and even rarer are those that find their way into the germ line. Normally, these integrated viral sequences are incomplete, rearranged and mutated and cannot easily escape as active viruses. However, in some cases apparently more recently acquired and therefore less initiated integrates can escape by direct transcription from tandem insertions or by recombination. This can lead to severe outbreaks in crop and ornamental plants. In anticipation of such events, methods have been developed for the detection and characterization of integrated virus sequences in plant genomes. … Wild Petunia metaphase chromosomes (2 n = 14) after FISH with an endogenous pararetrovirus, EPRV probe (labelled with biotin d-UTP and detected with streptavidin conju- gated to Alexa594, red fluorescence under green excitation (for probe description ..
F Noreen, T Schwarzacher, R Akbergenov… – … Symposium on Virus …, 2008 – actahort.org … . This entry was posted in Publications and tagged agriculture, banana, crops, disease, genomes, genomics, integration, musa, pararetroviruses, petunia, plants, prv, retroviruses, transcription, virus. Bookmark the permalink.